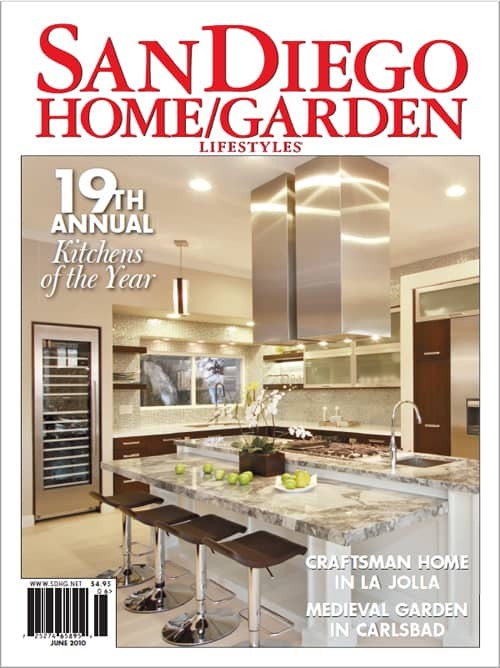 For more than 30 years San Diego Home/Garden Lifestyles has featured the best homes and gardens in San Diego County. The San Diego Home/Garden Lifestyle Kitchens of the Year contest is a professionally juried program that honors excellence in kitchen design. CaesarStone, headquartered in Southern California, is the original quartz countertops manufacturer. A panel of judges for CaesarStone’s National Dream Design Contest reviews hundreds of residential and commercial entries to find the most innovative designers using caesarstone, a versatile quartz countertops surface, in their bathrooms, kitchens, bedrooms and furniture designs. In 2009, 30 winners were chosen for the quality and beauty of their designs.